Social Security Disability - Stephens Fiddes McGill and Associates, P.C. We at Stephens Fiddes McGill and Associates, P.C. have been representing client’s with social security disability and SSI claims for over 30 years. Our attorneys are here to help you through the complicated Social Security Disability and SSI processes. We can help you every step of the way. How do I file a Social Security Disability and/or SSI claim? I have been denied. How do I file a Social Security Disability appeal? How do I file a Social Security Supplemental Income (SSI) appeal? How do I file a Social Security Disability or SSI Reconsideration? How do I file a Social Security Disability or SSI Request for Hearing? How much will I have to pay in Attorney Fees and Costs? How much will I receive in retroactive pay (back pay)? Will my minor children receive beneficiary pay? How much time do I have to file an appeal of an initial denial or reconsideration denial? These are some of the typical questions that we can help you with. Most people are denied the first time they apply. Again, it is typical to get a denial that recognizes that your impairments cause some limitations, but that there are light or sedentary jobs that you can still perform. A lot of people, feeling overwhelmed with the process, simply give up. What you should not do is give up. Before you file your initial application for Social Security Disability and/or SSI benefits, we can help you understand the process and advise on how to file your Social Security Disability and/or SSI application. If you are denied Social Security Disability and/or SSI, we can file your Request for Reconsideration, which is the first appeal in the disability process. When your Request for Reconsideration is denied, we can file your Request for Hearing before an Administrative Law Judge. If you are denied at the hearing stage, we can file for you an appeal with the Appeals Council. The claim process can be overwhelming. Trying to do it on your own and not knowing the applicable Social Security Rules and Regulations and not properly preparing the case makes it easy for you to be denied at all appeal levels. 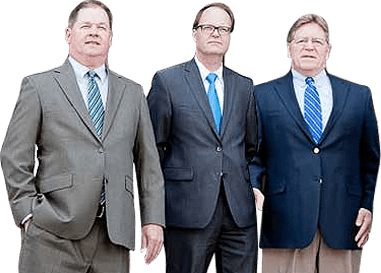 Come see us first within 60 days of your first denial (the time you have to file an appeal or lose all appeal rights) in order for us to assess your case for representation. Once your case has been accepted, we will make sure your appeal rights have been preserved, and will start preparing your case for appeals. Remember, the earlier we are involved the better we can prepare you and your case for presentation to the Administrative Law Judge.